This is a common problem when you want to do some changes over your database table; the common one : You want make the “is identity=yes” in Identity specification section. 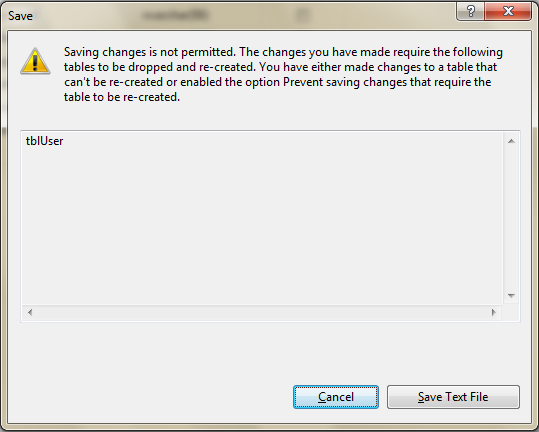 Open Management studio –> Tools–>Options–>Table and database designer –> and in this area; do uncheck “Prevent saving changes that require table re-creation” part. Click OK, and you won’t get the same error as before.